Say hello to Rachel Mansfield of @rachlmansfield! 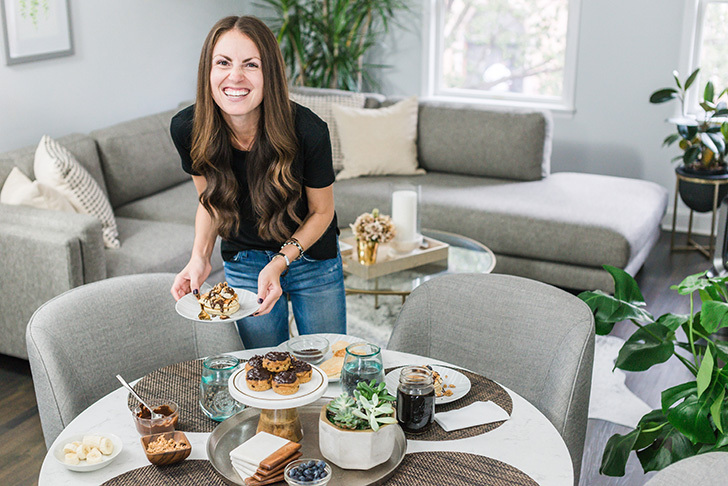 She’s a popular food, wellness and lifestyle blogger based in Hoboken, NJ, known for her easy recipes made with real food and simple, healthy ingredients. 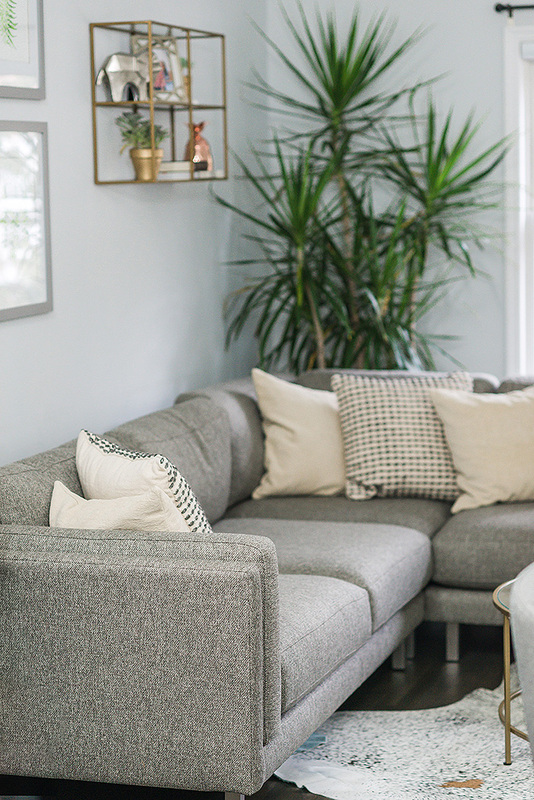 Rachel and her husband recently purchased their first home and wanted our help to maximize her open concept living space. 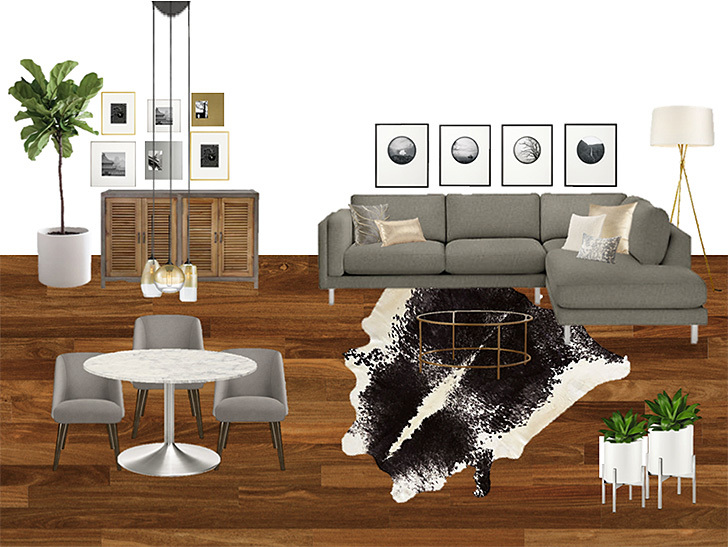 Utilizing our free design services, she worked with Design Associate Antwan at our Chelsea store for inspiration and floor planning. Once she had her vision for the space, we provided her with a few key pieces that helped create a shared living and dining area that’s perfect for entertaining and relaxation. 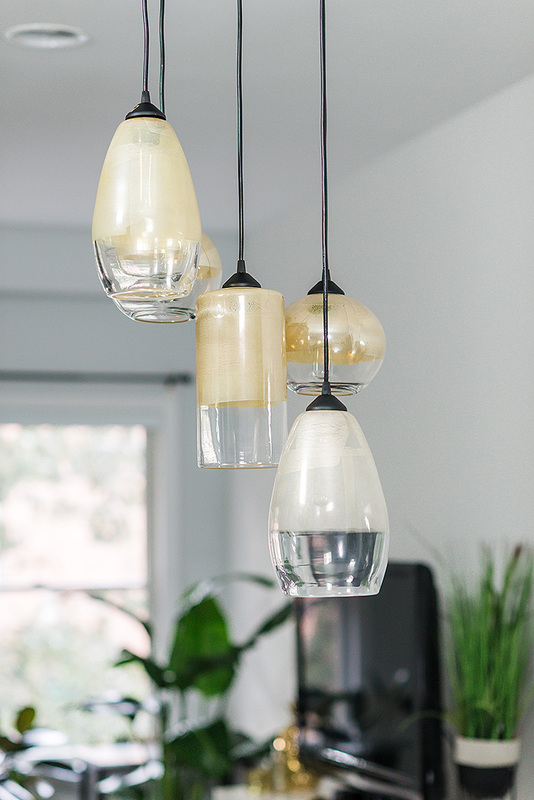 Read on to learn more about Rachel and get a glimpse into the finished space. Ah, that is such a tough one! My favorite holiday breakfast recipe is definitely my Paleo Dark Chocolate Marble Sweet Potato Loaf. It’s made with all simple and delicious ingredients and is so yummy with some coconut yogurt on top for breakfast! For dessert, I love making truffles to bring for people as gifts or to family holidays. These Simple + Easy Paleo Fudgy Pumpkin Pie Truffles have been a hit and are perfect for the holiday season! Who are your top 5 dream dinner party guests? Oh I love this question! Hmm, I would have to say Gwyneth Paltrow, Aviva Romm, Dr. Frank Lipman, Bethenny Frankel and I’d bring my mother-in-law as the fifth guest because she would love every second of this! What are your tips for entertaining? Have plenty of options. You’re always better off having too much food or too many drinks than not enough! In Maui! All the food we had there was amazing. Coconut cream ice cream, kobe beef poke, acai bowls! Anything that is fresh and locally sourced is my favorite. And anything dessert. Favorite ingredient to cook with? Avocado oil. I use it on everything. Confession: I’ve never purchased a cookbook! I am very bad at following other people’s recipes so I don’t really look for them. What’s your go-to recipe when you’re short on time? Right now it’s a paleo quesadilla. Two grain-free tortillas, both smeared with almond milk cheese and filled with caramelized onions, mushrooms, arugula and roasted chicken. Grease a large cast iron skillet with avocado oil and cook for about 4 minutes on each side. SO GOOD! Connecting with people in the community I likely would have never met. I’ve met some of my closest friends via Instagram and it is magical that a social media platform has brought us together. What’s your favorite piece of Room & Board furniture in your home? Our kitchen table! We have the Aria dining table in the marbled white quartz. It fits my brand and style so much. I even use it as a desk during the day. Looking for more? Head on over to Rachel’s blog for the full reveal and to learn more about the design process. Love this whole post on Rachel’s awesome and adorable home! We had a blast shooting with her and we totally loved all of her Room and Board decor. Worked perfectly in her apartment. Thanks for sharing our photography!! 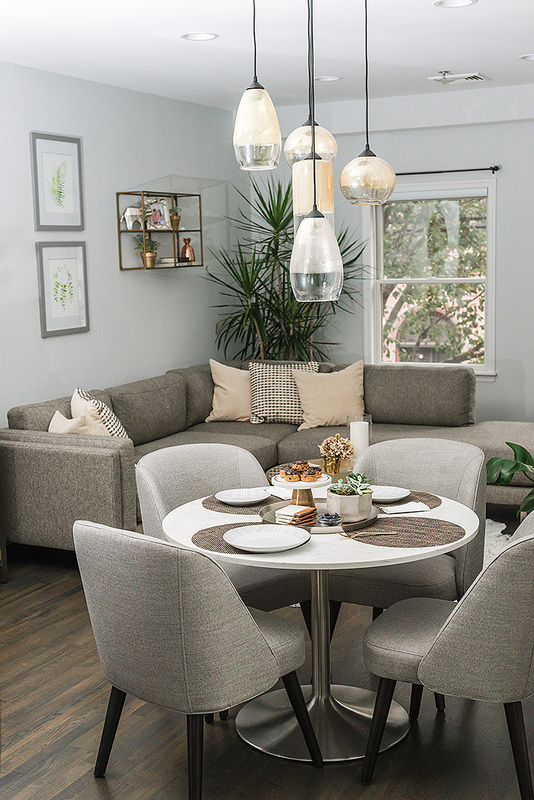 Thanks for sharing — we also love how Rachel’s home turned out and the photography is stunning. Thanks for helping complete this amazing project. What is the fabric name of the Cade sectional? Hi Victoria, it’s our Cade sectional in Tepic grey.